The annual AAWGT Women and Leadership event was held on March 8 at Calvary United Methodist Church. Highlighting International Women’s Day, this successful gathering drew more than 100 attendees. A lively panel discussion among two mother-daughter pairs focused on the influences, motivations, and challenges, women of different ages face as they seek to make a positive impact on the world. 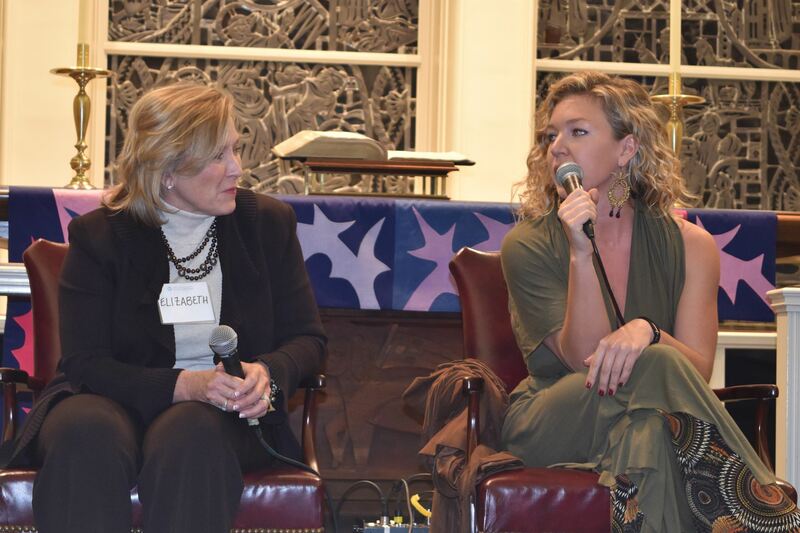 The panel featured Elizabeth Kinney of Light House Social Enterprise and her daughter, Megan Kinney, a singer-songwriter and community activist in Los Angeles. The second mother-daughter pair were Jan Piercy, whose executive experience has included the World Bank, the Global Philanthropy Forum, and the D.C. Homeless Children’s Playtime Project, and her daughter Lissa Piercy, a performance poet and co-founder of a talent agency representing social justice-oriented authors and artists. 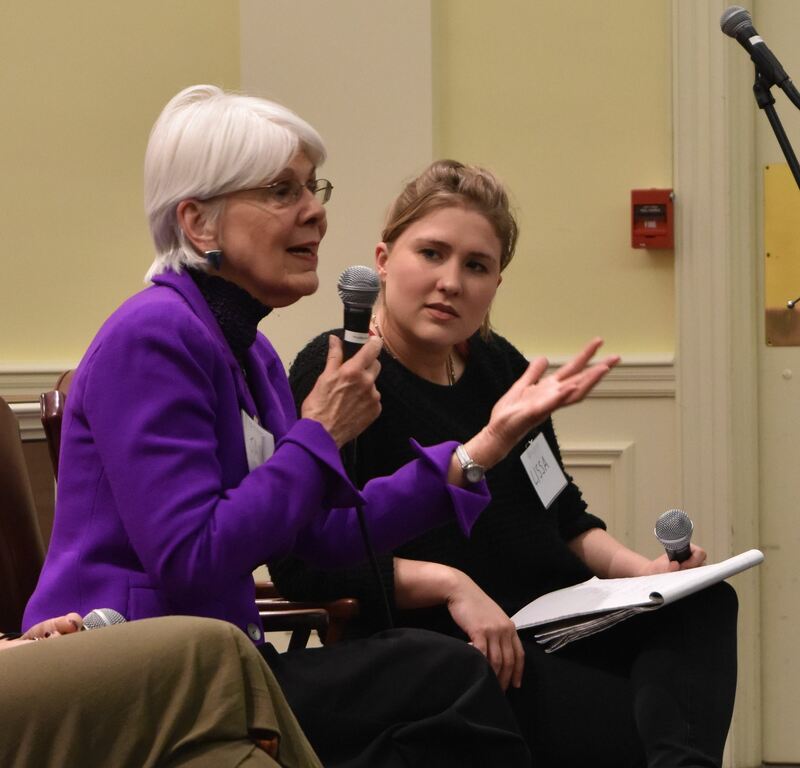 The panel was moderated by member Kitty Higgins, former White House Cabinet Secretary and member of the National Transportation Safety Board. 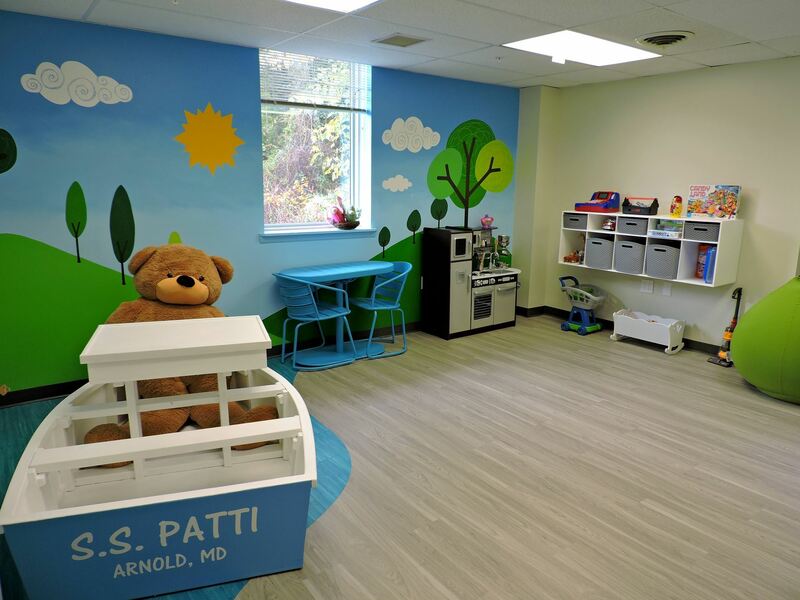 Eight-year-old Kevin (alias) attended Child-Centered Play Therapy (CCPT) in the YWCA’s new Therapeutic Playroom, which received grant funding from AAWGT this year. Kevin arrived at the YWCA after witnessing countless acts of emotional, verbal, and physical abuse of his mother by her boyfriend. The last straw was when the boyfriend held a gun and threatened to kill both Kevin and his mother as well as himself. When he began therapy at the YWCA, Kevin was disruptive at school and at home. He had trouble focusing on tasks, following directions, and being separated from his mother. Research shows that CCPT is extremely effective with children affected by trauma. CLICK HERE to find out what happened with Kevin. Dr. Joan Gillece’s February presentation, “Derailing Childhood Trauma,” has triggered a groundswell of interest in bringing Trauma Informed Care to our local community. For resources in Anne Arundel County, here is a list provided by Dr. Pamela M Brown, Director of the A.A.Co. Partnership for Children, Youth and Families. In Baltimore, The Thriving Collaborative began meeting to raise awareness of trauma-informed care following Freddie Gray’s death. Aces Too High demonstrates how Tarpon Springs, FL, adopted a community-wide approach to the issue. National information, including information on best practices, is available from the National Center for Trauma Informed Care. This is a very exciting time of year for AAWGT. Members have been working since the beginning of the year to solicit and help prepare non-profits from across Anne Arundel County apply for the $110,000 collectively contributed in 2016 to help improve the quality of life for women and families in our county. Using feedback from last year, members revised and improved the application form, convened workshops for prospective applicants on the grants process and the software, trained AAWGT members to serve as reviewers, intensively reviewed all applications, and are preparing a ballot of finalists to present to members for their vote in May. Many thanks to the leadership and members of the Grants and Post-Grants Evaluation Committees for their tireless efforts to ensure a high quality and smooth grants process! AAWGT members decide the 2017 grant allocations in May by voting either online or in person. A ballot with descriptions of the final applicants will be emailed to members no later than May 3. Those wishing to vote online have until May 9 to complete and return their ballots. In-person voting will take place on May 10 when ballots will be counted and 2017 grantees announced. Since the selection of grantees is at the very heart of AAWGT’s mission, please take the time to carefully review the list of proposed grantees and submit your votes either online or in-person. We look forward to hearing from each and every member! Please take a moment and visit the “new and improved” AAWGT homepage. It’s the result of the combined efforts of several committees to continue to build a website that attracts and informs members and visitors alike. Our message is sharper and our content is being expanded on a regular basis to include information about issues that are of concern to our county, the non-profit organizations that are working hard to make a difference, and news and ideas from women’s philanthropic efforts around the country. As always, we welcome your ideas and involvement as we move forward into our second decade. The Steering Committee, which is composed of AAWGT officers as well as chairs and assistant chairs of all committees, meets every month to review our work, discuss and exchange ideas about new approaches to making our organization even stronger, and plan for the future.